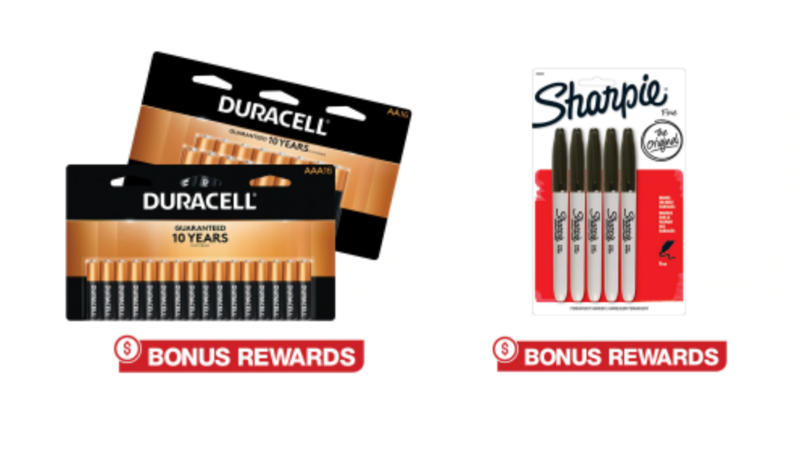 Home > Free > Last Chance: Free Duracell Batteries & Sharpie Markers! Last Chance: Free Duracell Batteries & Sharpie Markers! Today is the last day to get completely FREE batteries and Sharpies for Office Depot/OfficeMax rewards members! Get 100% back in rewards on select flashlights or duracell batteries and Sharpie permanent fine point markers. If you aren’t a rewards member, it’s Free to join! The deals can be purchased in store and online. If you choose to shop online, you can get an extra 20% off with an online coupon. Note: Rewards are earned on the price paid for an item before tax and after deducting all discounts. So using the 20% off coupon will not make them a money maker, you’ll get back whatever you paid.